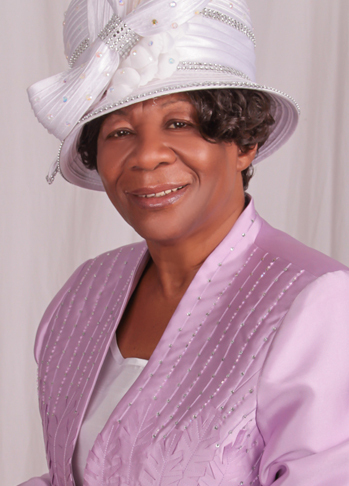 Born in the Island of Jamaica, Pastor Prophetess Cora Lewis accepted the Lord at a very early age; having answered the call of God to preach and teach the Gospel she traveled throughout the Caribbean, Europe, Canada and the United States spreading the Gospel of Jesus Christ until she was joined in Holy Matrimony to Bishop Dr. Leary Lewis and became partners in spreading God’s word. Together they have planted ministries in Jamaica, the United States and in the Andros Island in the Bahamas. They have become leaders to many, teachers to many, Pastors to many, mother, father and mentor to countless members of the body of Christ whom they serve with dignity and grace. They have labored with relentless determination and zeal; they persevered through difficult times and tumultuous circumstances and emerged with more determination strength and vigor. Pastor has demonstrated a vibrant and compelling relationship with God and responds to the power of the Holy Spirit in her daily life; she is obedient to the mission’s call, her spirit is hungry for authenticity and sincerity; she does not allow disappointment to be defeating, she understands the challenges of leadership while she maintains an enthusiasm and energy for the work of the Lord. She is tenacious and always seeks to overcome obstacles through prayer and fasting. She demonstrates honesty, good judgment and high ethical standards and does not condone ineffective behaviors. She provides spiritual and emotional support to the congregants in prayer and fasting for the sick and for grace to abound in the lives of the believers; while inspiring and equipping others for the Ministry of Jesus Christ. Her life exemplifies the victory she unwaveringly proclaims to all who will commit themselves to the word of God.